The Massacre of Glencoe happened at 5am on 13th February 1692 when thirty-eight members of the Macdonald clan were killed by soldiers who had enjoyed the clan’s hospitality for the previous ten days. Many more died from exposure in the mountains. 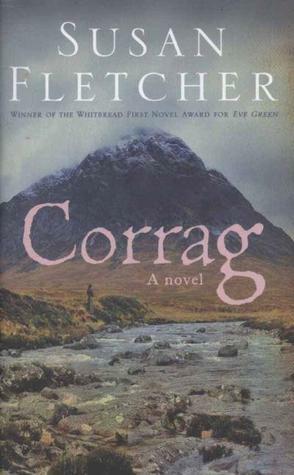 Fifty miles to the south Corrag is condemned for her involvement in the Massacre. She is imprisoned, accused of witchcraft and murder, and awaits her death. The era of witch-hunts is coming to an end – but Charles Leslie, an Irish propagandist and Jacobite, hears of the Massacre and, keen to publicise it, comes to the Tollbooth to question her on the events of that night, and the weeks preceding it. Leslie seeks any information that will condemn the Protestant King William, rumoured to be involved in the massacre, and reinstate the Catholic James. Corrag agrees to talk to him so that the truth may be known about her involvement, and so that she may be less alone, in her final days. As she tells her story, Leslie questions his own beliefs and purpose – and a friendship develops between them that alters both their lives. In Corrag, Susan Fletcher tells us the story of an epic historic event, of the difference a single heart can make – and how deep and lasting relationships that can come from the most unlikely places. ← Can’t get enough of Outlander?